Looking for a fun way to spend your Eid holiday? Don’t miss the three special concerts taking place across Dubai, making Eid Al Adha a celebration not to be missed this year. 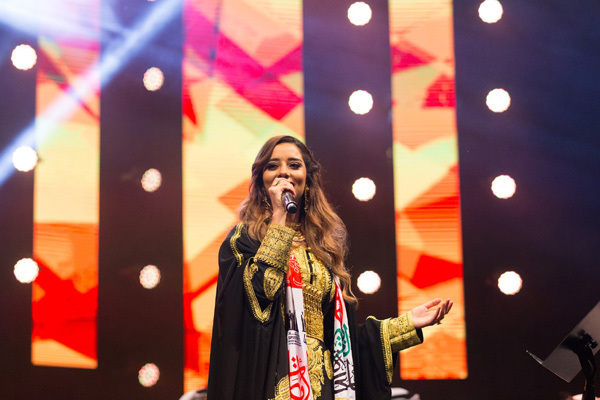 Popular Arab singer Balqees will perform a free concert at Dragon Mart 2 on August 24 as part of the citywide Eid Al Adha celebrations in Dubai. Balqees will take to the stage starting 7:30pm to mesmerise the crowd with her melodic songs such as ‘Ya Hawa’ and ‘Mainoun’ to name a few, making it a truly special celebration. In addition, Bollywood singing sensation Sunidhi Chauhan is also set to take to the stage at the Dubai World Trade Centre to entertain music-lovers in Dubai for one night only on August 24. The popular singer, known for her catchy pop and filmi tunes, will entertain the crowd at Dubai World Trade Centre starting 8:00pm onwards, guaranteeing an unforgettable Eid experience. Tickets can be purchased from Dubai Calendar at a starting price of Dh75 ($20.4). Lastly, on August 17 and for one night only, Filipina songstress Morissette will perform her hit concert ‘Morissette is Made’ at Dubai World Trade Centre. This unmissable concert will begin at 7:30pm and will see the TV show-winning songstress perform multiple hits from her award-winning album, Morissette. Music lovers are encouraged to purchase tickets from Dubai Calendar at a starting price of just Dh75 per ticket.